I've always been a big fan of the fiction produced by The Black Library to support the game world created and produced by The Games Workshop. Even though it has been a long time since I rolled any dice or even painted a single toy solider I still find myself drawn to this behemoth of a mythos for the action and depth of storytelling. One of the key stories in the Warhammer 40,000 universe is the creation, rise, split and fall of a number of powerful beings known as Primarchs, created by an even more powerful God-Emperor of mankind. The basic story itself has a lot of parallels to Milton's Paradise Lost, with the favorite son essentially being defeated in a great war for the throne and his followers cast into what passes for hell in this particular fictional setting. Abaddon is the next in command after his particular Primarch, Horus. After the fall (the story of which is detailed in a whole other series of books) Abaddon flees into the Eye of Terror (imagine living hell full of daemons and weird things but in space) along with the most powerful spaceship ever constructed by the Imperium, followed by the remaining traitor forces. This leads us into the story of The Talon of Horus, as we follow a handful of 'traitor' Space Marines in their quest to find Abaddon's flagship and use it to crush their enemies within the Eye of Terror. Things are of course not quite so simple, nor is this truly the purpose of the story. In many ways The Talon of Horus is a fictional history book, an eyewitnesses narration of events previously shrouded in relative mystery about quite a key point in the events of this particular universe. It is written incredibly well and Dembski-Bowden manages to create a number of sympathetic characters who are at the same time unspeakable monsters who bring death to whole planets. 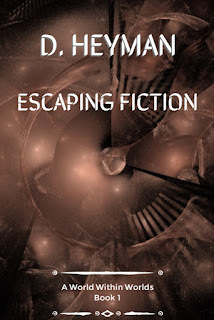 He captures the spirit of the characters and brings them to life with flaws and drives that suit every one of them in a way that makes it feel less like fiction and more like a recounting of true events. 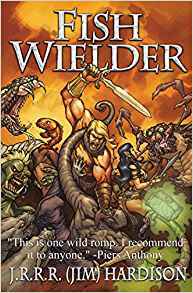 Even if you are not familiar with the wider universe, this is not a bad place to start since it introduces a rather pivotal character and the events leading up to the wars mentioned in many of the other works produced by The Black Library. It is in general an excellent piece of science fiction mixed with the standard high fantasy that often graces the stories of this setting. The only reason I've not given this book a 9 out of 10 is because the story is a little predictable at points. While this may seem a little harsh considering Dembski-Bowden has been given the monumental challenge of writing a story that has in many ways already been written by others I felt that there were a few moments when he had complete control and yet chose the less painful path, sparing our main protagonist a little too easily. 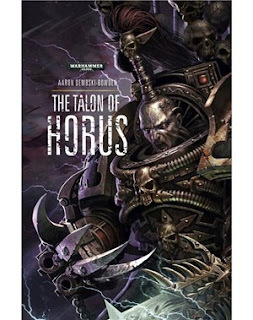 That one point aside, I really can recommend The Talon of Horus for Games Workshop and Science Fiction fans alike.